The MedCenter Monthly Organizer and Personal Reminder gives you a month's worth of organized pills and a convenient multi-alarm watch to help keep you on track. This is our most cost effective complete monthly solution. 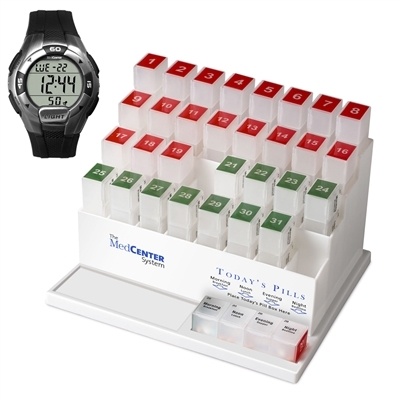 The Monthly Organizer allows you to organize a full month’s worth of medication or vitamins at a time. 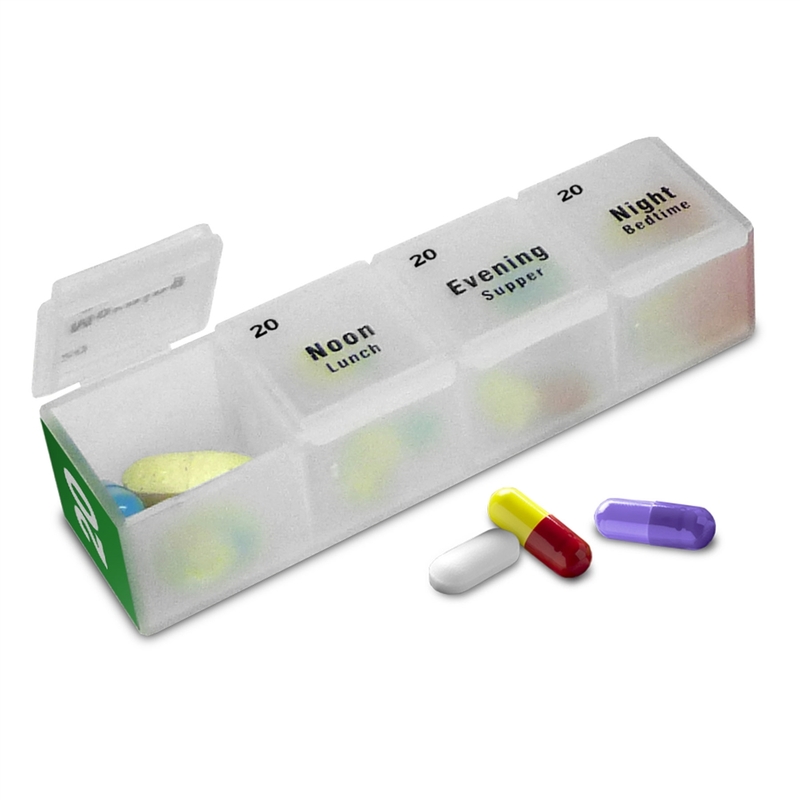 The Organizer features thirty-one individual pill boxes that can be removed and taken with you as needed or remain with the Organizer stand for ease of convenience. 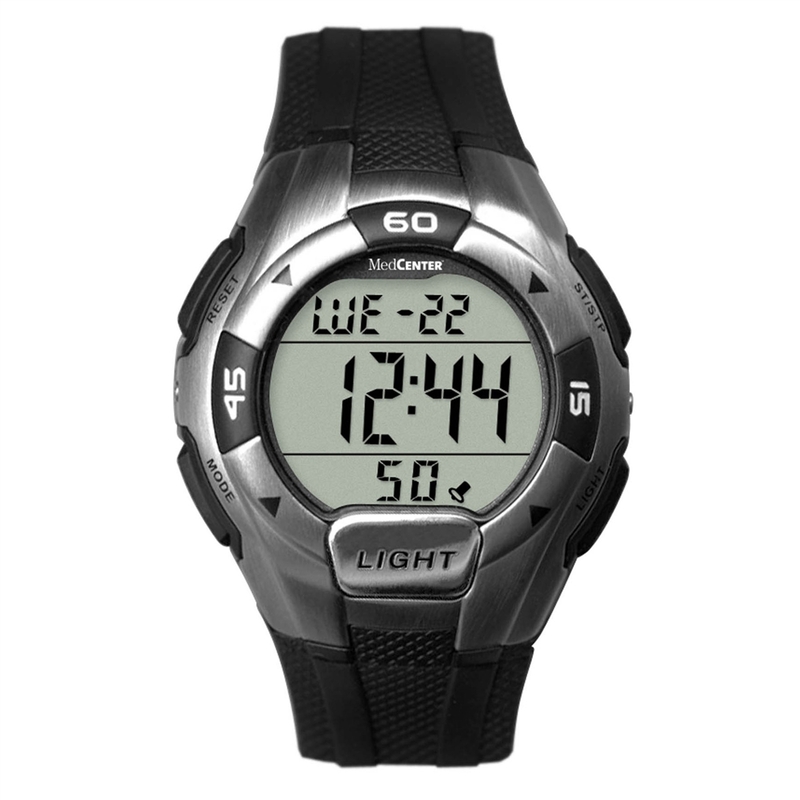 The new MedCenter Sport Reminder Watch is not only functional but comfortable. This Sport Reminder incorporates four Daily Alarms which can be set to correspond with your monthly organizer. The Sport Reminder also includes an optional 5th alarm!